We are offering Sublimation Metal Plate to our client. Despite of the copious needs and desires of our customers from across the nation, we have been able to offer a premium series of Stainless Steel Sublimation Plates. 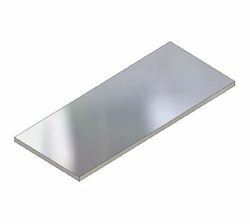 The company is a highly trusted Exporter & Supplier of Sublimation Metal Plates. The Sublimation Metal Plates are coated with polymer and the recommended transfer paper is forever multi-trans. The clients can avail the Sublimation Metal Plates at the best prices and the deliveries are safe and timely. Consistantly upgrading our product quality and range, We are leading supplier of Sublimation Blank Products. Finest Range and World Class Quality is our moto and a reason, Why Clients should choose us. 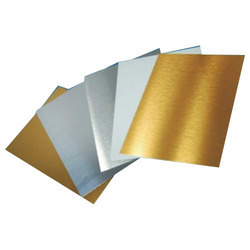 With Largest range of Sublimation Black products, We are selling finest quality in Sublimation Metal Sheets.